Brachiopods are rare in modern oceans, but were very common in the past (only 325 living species but more than 12,000 fossil species). The body is covered in a shell that is made of two halves (valves) that are held in place by muscles. The valves can be opened (by the muscles) at one end to allow water in and out of the shell, which brings food and oxygen to the animal. 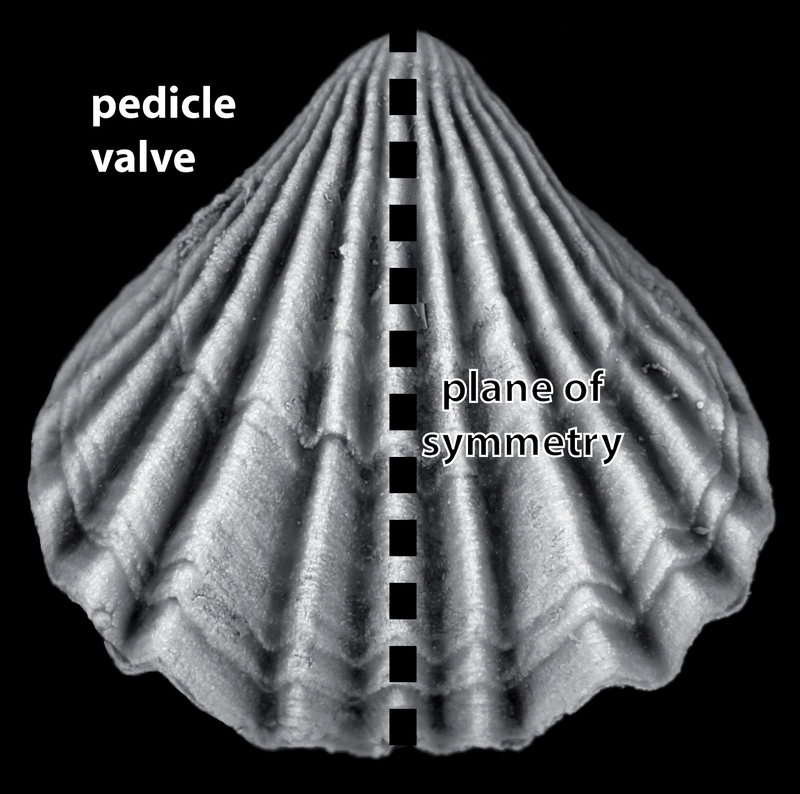 The plane of symmetry passes through the valves, rather than between them. 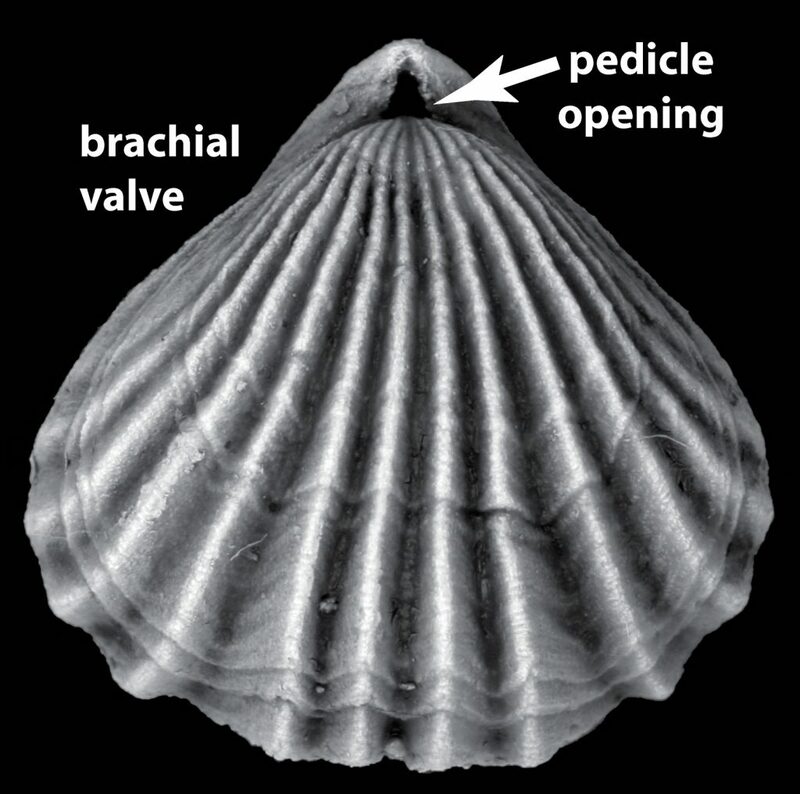 All but a few brachiopods fall into two basic types, the rhynchonelliform (or articulate) brachiopods and the lingulate (or inarticulate) brachiopods. 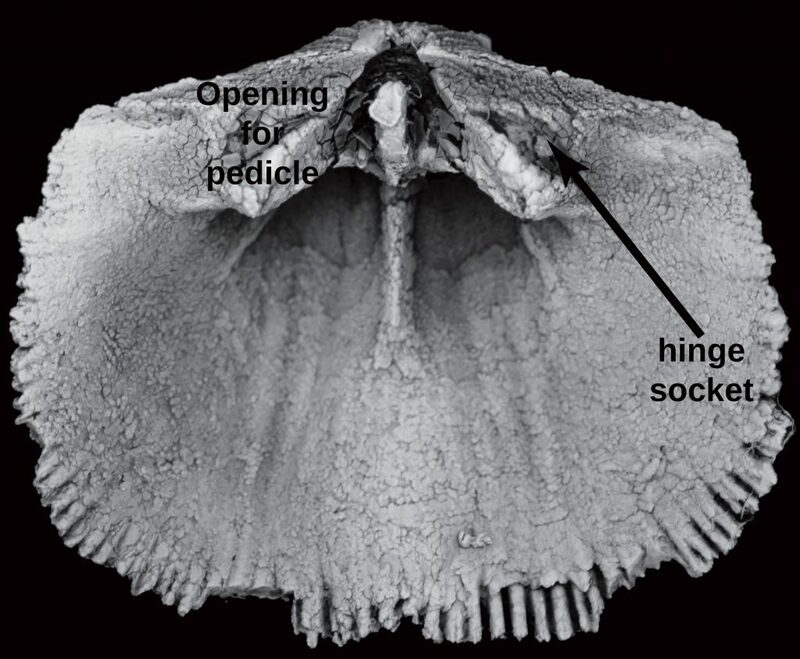 Rhynchonelliform brachiopods have shells made calcium carbonate and interlocking pegs (teeth) and sockets that form a hinge between the valves. The teeth are in one valve (the pedicle or ventral valve) and the sockets are in the other (the brachial or dorsal valve). 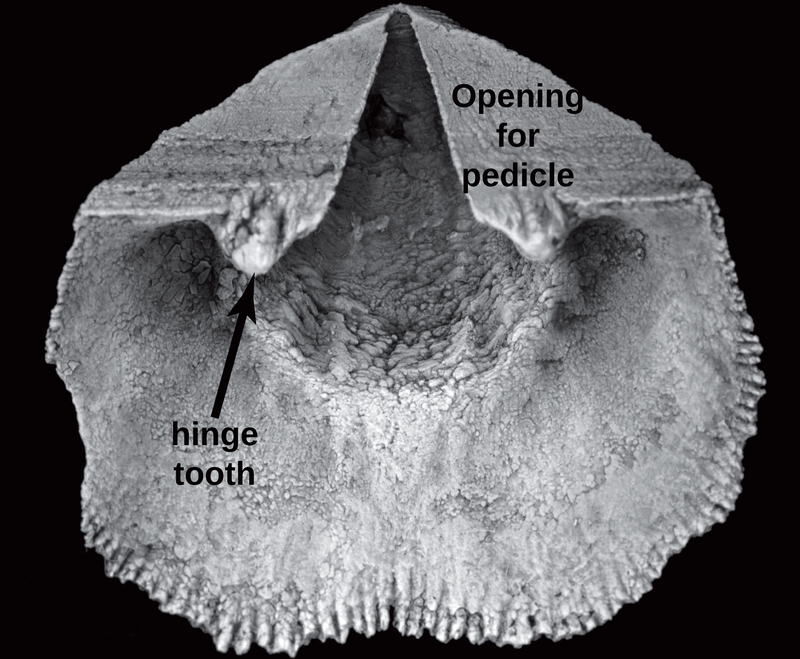 Many species were anchored to the sea floor by a muscular stalk (pedicle) which emerged through a hole in the pedicle valve (pedicle opening). 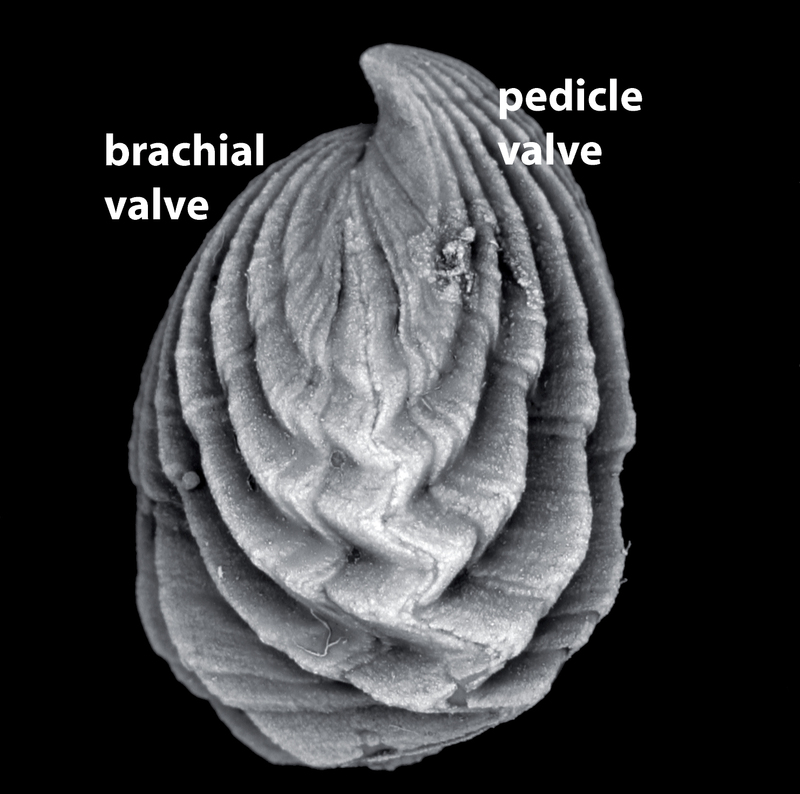 Modern lingulate brachiopods have a shell of two oval, flattened valves made of calcium phosphate. Hinge teeth and sockets are absent. Similarly-shaped shells have a fossil record that goes back to the Cambrian Period, more than 500 million years ago. 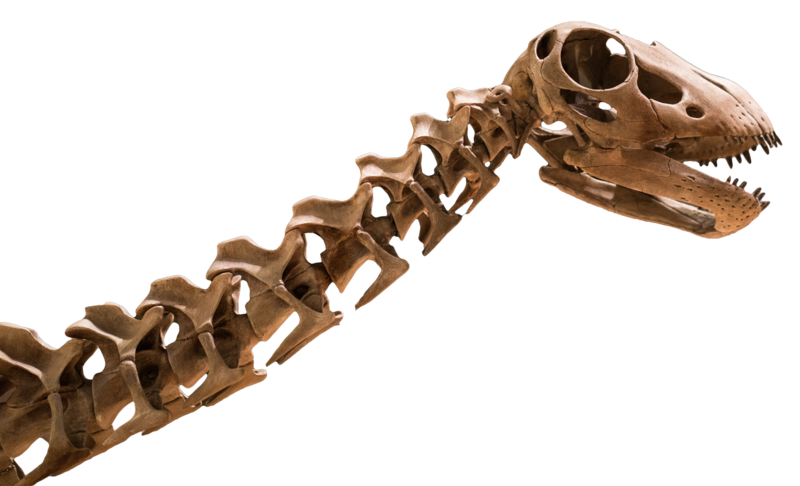 Burrowing lingulate brachiopods have an over-sized pedicle (longer than the shell) that holds the animal in place in its burrow. Brachiopods are suspension feeders, which means that they extract food (plankton, particles of dead organic matter, etc.) out of water that they pump in and out of their shells. 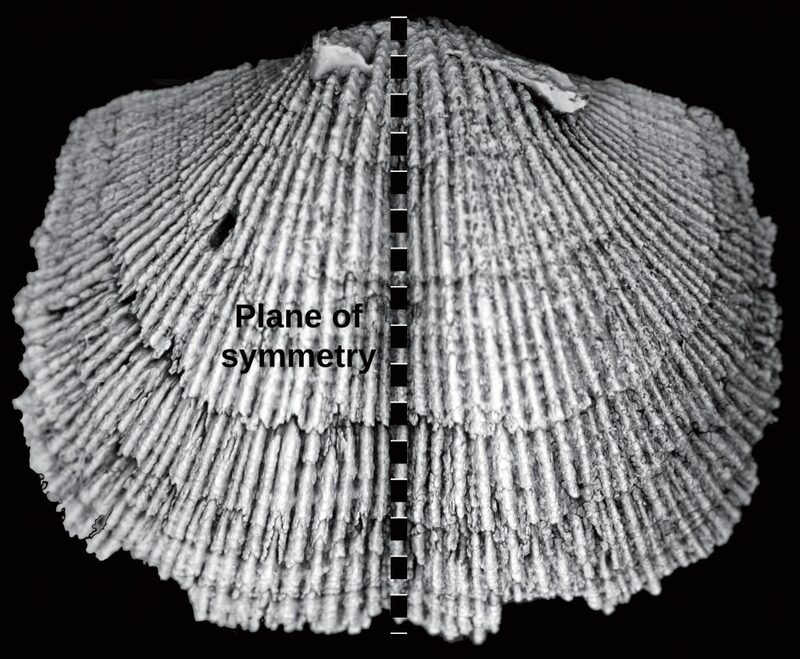 Modern rhynchonelliform brachiopods live on the sea bottom and may be found on rocky, sandy or muddy bottoms. They are unable to move. 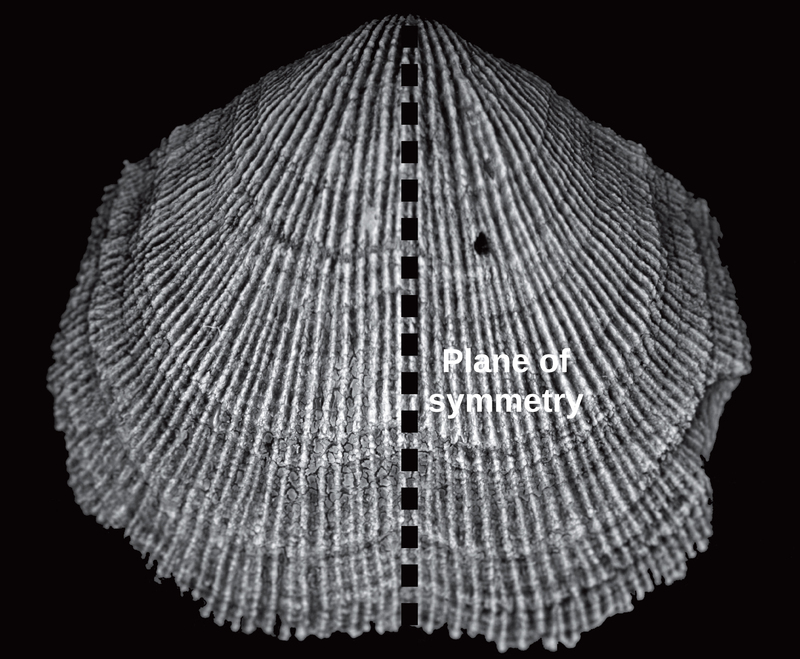 Although many rhynchonelliform brachiopods are held in place by a pedicle, some extinct forms lost the pedicle and lay freely on the sea bottom. Modern lingulate brachiopods burrow into sand and mud on the sea floor. The oldest brachiopods can be found in rocks of early Cambrian age (about 530 million years old). They are still alive today. Brachiopods can be found in Cambrian, Ordovician, Silurian, Devonian, Carboniferous and Cretaceous rocks. They are particularly common in Ordovician-Carboniferous rocks.